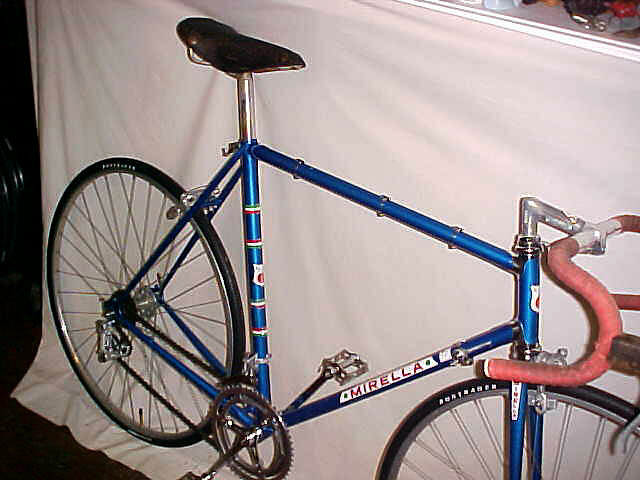 This is an awesome mid 70's Italian made Mirella. Nice mix of Campagnolo Nuovo Record, and Campy Strada. 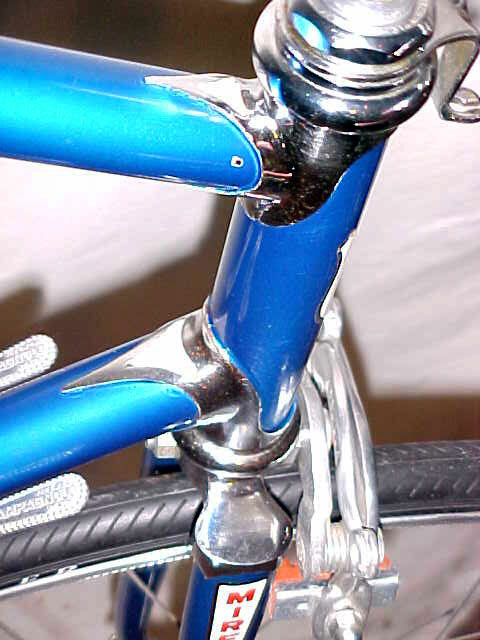 Cut out painted lugs,with chroming. Balilla center pull brakes. I got it in somewhat worse shape at a local San Antonio garage sale for only $40.00, a steal. 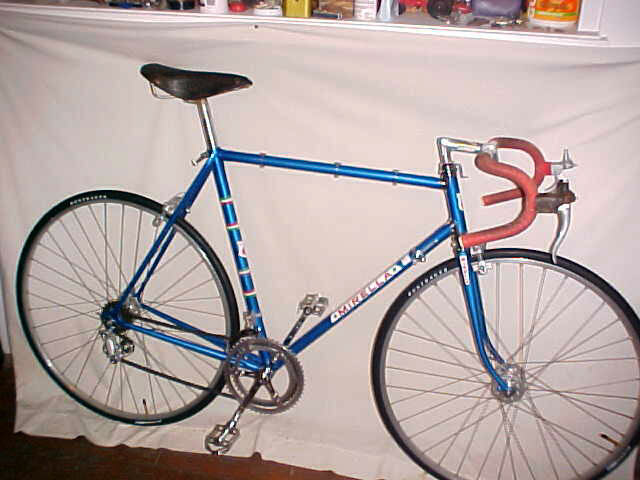 No cables on it but ready to accept them and go riding a sharp looking classic. It was a real pleasure cleaning this up and making it look all nice. 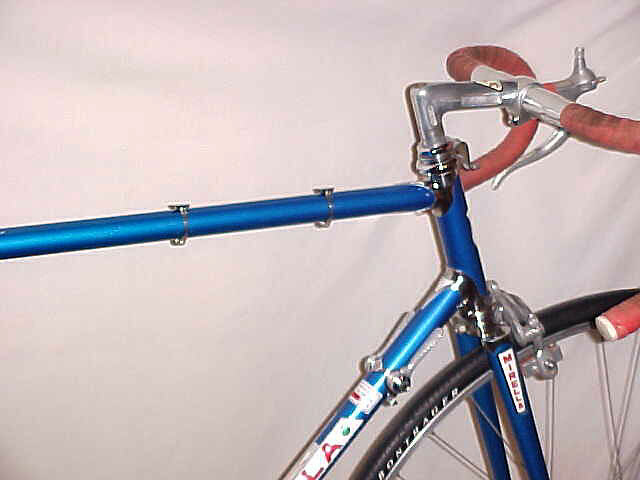 A triple T TTT record stem handles the steering.